1. 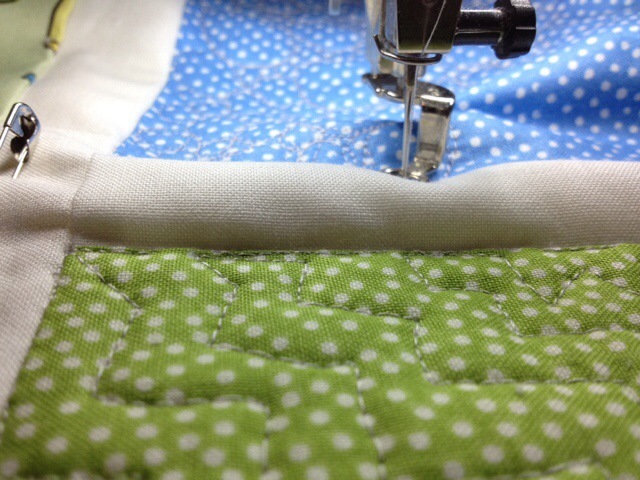 Baby quilts are the smallest of the “full” sized quilts, so they are a bit easier to maneuver in your machine. 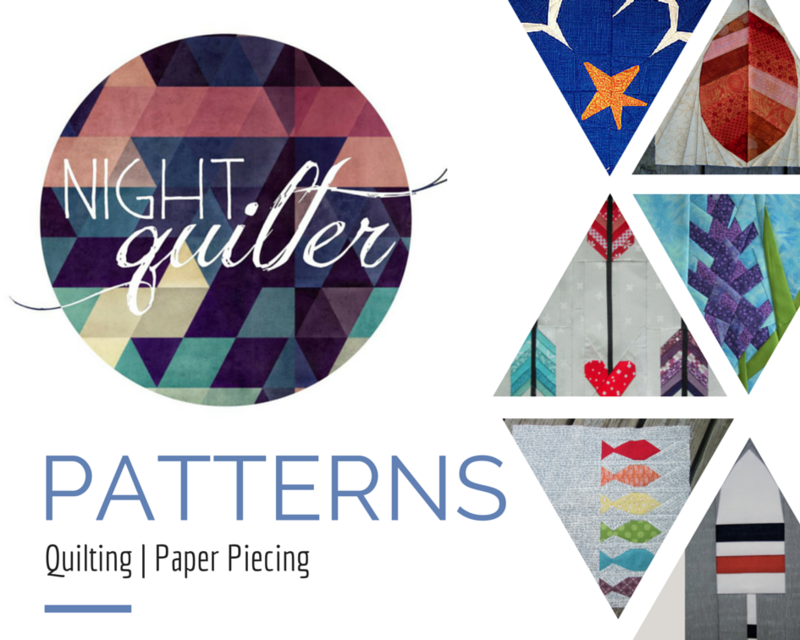 Trust me, this is very helpful for a newbie free motion quilter! 2. Many baby quilts, at least the ones that I have made thus far, are made of larger blocks, encouraging many different quilting patterns and styles. 3. 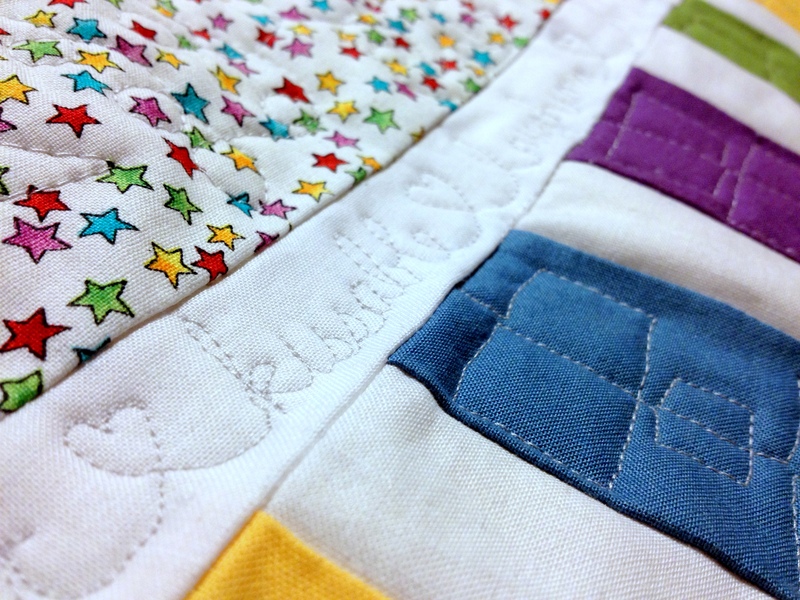 Baby quilts are made to be spit up on, peed on, dragged around the house, and shown that tough love only a baby and toddler can dish out. This to me is the perfect medium for practice (ie, imperfection). Clearly, nothing is perfect. But when I know that the subject quilt is hopefully going to be dragged around, have diapers changed on it, and be used as an impromptu picnic blanket or cape, I feel less worried about getting everything exactly perfectly right. This *oopsie* artistic element will make a great mountain or jump for matchbox cars. 4. Babies like funky shapes and textures. 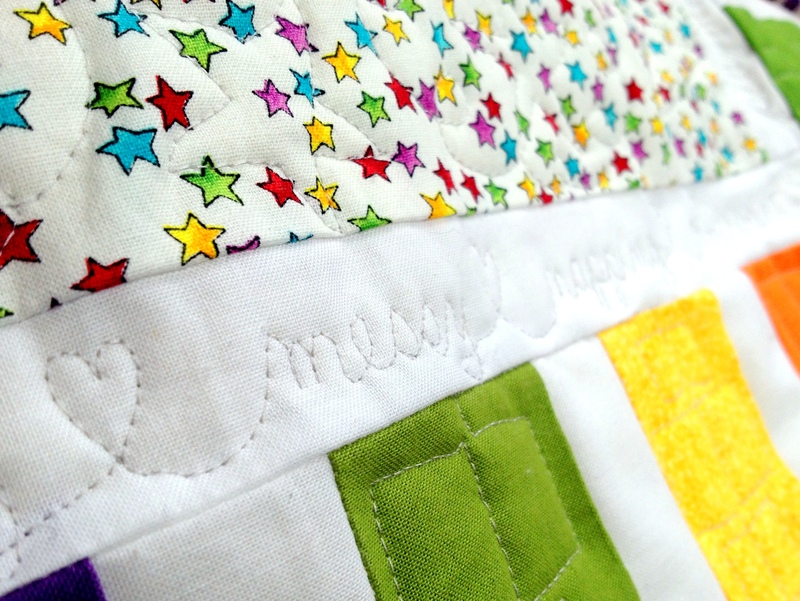 A brand new baby who is just starting to see the world and learn to move will love to explore a quilt with many different colors and textures. 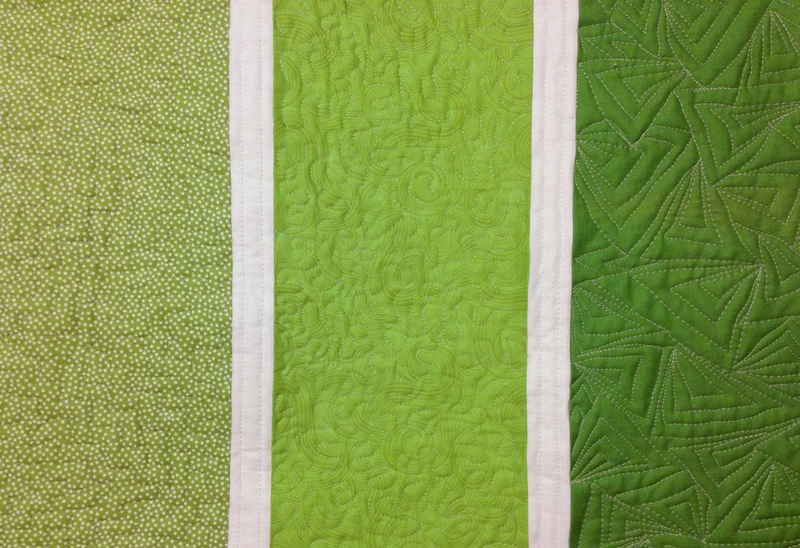 Free motion quilting helps you add those varied textures that a tactile creature like a baby will love. 5. When the quilt is for a baby, you can try out that weird or intriguingly unique free motion quilting pattern you’ve had your eye on, but have been hesitant to try on a more formal quilt. Suddenly have a desire to try out your grade school cursive? Go for it! In the outer most sashing, I FMQ-wrote the ABCs of babies. It was quite fun and an adventure to think up words to begin with each letter of the alphabet, almost twice around! Let me know if you are interesting in knowing the words I chose; I can addend this post if there’s interest!